CHARLESTON, W.Va. (AP) — Gov. 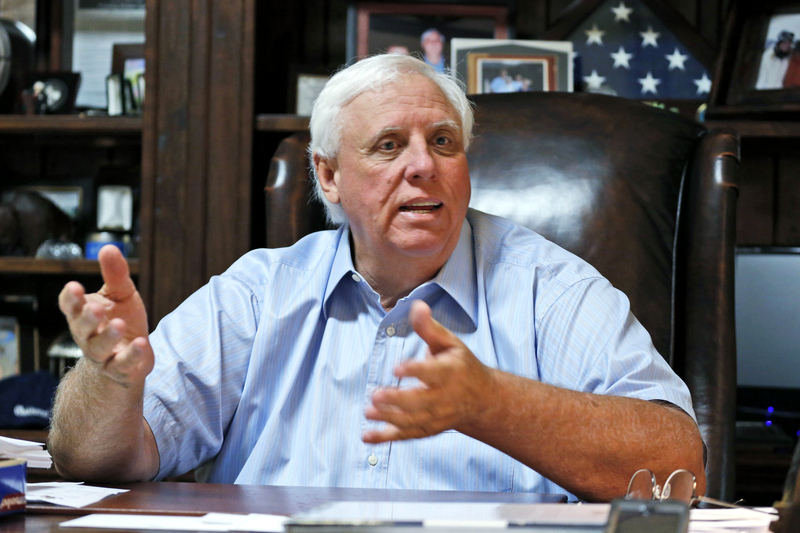 Jim Justice said Monday his family-owned coal businesses have resolved all tax disputes with the state of West Virginia and its counties. Justice said at a news conference his companies have paid millions to resolve outstanding issues that he’s been promising to fix since shortly after being elected in November 2016. The governor said he didn’t know the total amount owed, and Revenue Secretary Dave Hardy said state code prohibits him from revealing the amount paid by a taxpayer. Deputy Revenue Secretary Allen Prunty worked with the state Tax Department and Justice’s companies on the tax issues and said Justice was not involved. Prunty said liens against the companies will be released. The governor said his companies, through his son, Jay Justice, are working to resolve similar issues with the states of Kentucky and Virginia. Jim Justice said “it may take a little while” for those to be completed. Justice has said he’s paid many tax debts owed by his companies’ former owners. In 2016 when he completed a $5 million buyback of Mechel Bluestone Inc. from Russian company Mechel OAO, there were millions in outstanding delinquent taxes owed to McDowell and Wyoming counties. Justice said Monday those two counties now have each received $2.2 million in unpaid taxes for 2014 and an estimated $1.9 million for 2015. Prunty said “substantial liabilities” incurred by Mechel OAO have been resolved by Justice’s companies. Justice has been reported to be the richest man in West Virginia, with a fortune estimated at $1.9 billion by Forbes magazine and a profusion of coal and agricultural interests. He was elected at age 65 as a Democrat in his first run for statewide office in a largely self-funded campaign. He switched to the Republican Party in August 2017.